(Win it!) 5 Tips for Making it Easy to Spend Time Outside with Your Family + Information About The Grove Frisco! If you follow regularly, you know that I'm a Boy Mom with energetic children. My boys thrive when I help them to channel their energy in healthy ways. We try to spend a lot of time outside in order to create a healthy balance in our lives. In today's post, I'll share tips to help your children to spend more time outside. 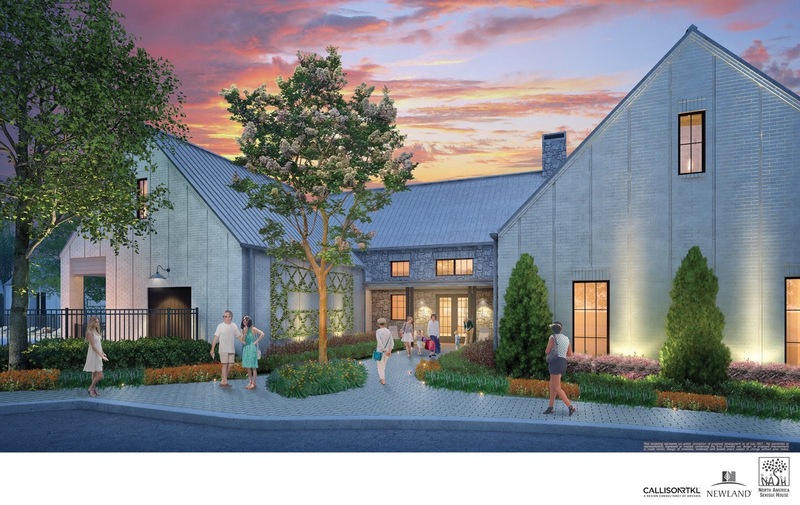 I will also tell you about a trendy new development in Frisco - The Grove Frisco - that is perfect for families who want amenities that draw families outside. (Newland Communities and The Grove Frisco, offer a new residential community crafted for the modern life, located at the Four Corners of Frisco, McKinney, Plano and Allen.) We'll also share a giveaway where one lucky winner will receive a gift card to our favorite BBQ restaurant so that they are able to plan a fun day to visit and then enjoy dinner. The tips below focus on making it easy to spend time outside with your family. Raising children is a lot of work which is why I am an advocate of living somewhere peaceful with generous amenities that make it easy to simply walk outside to enjoy time as a family. The following life hacks are ones that we personally follow. Live in a neighborhood that promotes a healthy outdoor lifestyle. As parents, we have many errands to run such as driving our children to school, practices, games, and more. If you live in Frisco, McKinney, Plano, or Allen, you know that driving from errand to errand in the Texas heat is exhausting. That's why I think that it's important to live in a neighborhood with generous amenities that you are able to enjoy without driving. 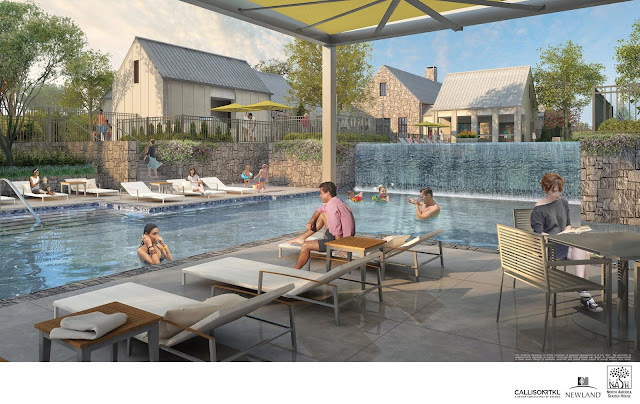 The Grove Frisco simplifies life for residents as they will make it easy to enjoy a healthy lifestyle with open green spaces, playgrounds, nature and neighborhood trails, a splash pad, and nice swimming pool. Having a family dog makes it easier to stick to a consistent walking schedule. This is a great opportunity to spend time together outside together. Organize a splash play date. Splash pads have been game changers for our play dates. I'm outnumbered by my children during the day when my husband is at work, so it's stressful to go swimming without his help. On the other hand, a splash pad is the perfect play date for hot Texas summers when my husband isn't home to help watch them at the pool. Once my husband is home from work, I am no longer outnumbered by my children. We love to put them in their Puddle Jumpers and visit the pool. It's amazing how much energy they use! Nothing is better than baby giggles and splashes in a swimming pool. Fishing is a great way to spend time outside together. Find a stocked catch-and-release pond to take your family. Other outdoor amenities include 4.5 miles of nature and neighborhood trails; seven-acre City Park; dog park; pavilion with A/V for concerts, meetings, and movie nights; and a planned future catch-and-release pond. If you want to check out The Grove Frisco, they are having a Grand Opening on June 23rd. This is an event that you won't want to miss! I'm sure that this will be a sought after neighborhood since it's in a top school district and offers an amazing lifestyle that is filled with amenities. One lucky winner will receive a $100 gift card to a BBQ restaurant that is located near The Grove Frisco. If you don't have plans on June 23rd, this is a great opportunity to visit The Grove Frisco and go out to dinner. Enter using the Rafflecopter below. The winner must reply to our email within 72 hours. Otherwise, we will select a different winner. The winner must have a U.S. shipping address. Good luck!